These before and after yard makeovers prove that you don’t necessarily need a huge budget to make a major impact in your yard. The barren yard of this 1935 Oklahoma City Tudor looked like something out of The Wizard of Oz. The homeowner planted 800 tulip bulbs and now it’s a beautiful display of color. This large yard was cut in two by a long sidewalk. With minimal landscaping, it was certainly in need of a wow-factor. The sidewalk was taken out and a border of boxwood gave structure to the yard. Rosemary and cascading greenery soften the look of the new brick entry. There’s nothing wrong with a good deck, but the homeowners were looking for something that gave the feeling of a permanent outdoor room. Beautiful pavers in a shade that blends with the home’s exterior set the foundation for the patio that effortlessly blends into the yard. The small area lacked inspiration and needed a focal point. A tranquil water feature, inexpensive gravel, and a boxwood border create a stunning retreat. This carport took up much of the backyard of this home and certainly didn’t add to the appeal. Weather-resistant outdoor curtains and a fresh coat of paint dress up the former carport. The courtyard now doubles as a seating area and dining space—making it ideal for outdoor entertaining. After losing a 100-year-old hickory tree in this backyard, the homeowners lacked a shady spot to beat the summer heat. A beautiful fireplace, iron pergola draped in wisteria, and twinkling pendant lights act as the foundation of this outdoor dining room. A beautiful, long dining table with mismatched metal chairs completes the space. The homeowners were looking for less grass and more living space. Beautiful pavers and low maintenance landscaping have created a space perfectly suited for the homeowners to enjoy. The courtyard now acts as an extension of the home. Overgrown landscaping in the front yard detracted from the home’s curb appeal. A cluster of American boxwoods behind a manicured boxwood hedge keeps the landscape simple and classic—just like the home’s updated exterior. A swing set took up much of the yard and had been outgrown by the homeowners’ children. Adirondack chairs, a gravel surface with a stone border, and a rustic metal fire pit makes the perfect spot for gathering on chilly evenings. The rarely used entrance to the basement was an eyesore. The homeowners relocated large shrubs and added a deck and vine-covered pergola. The space is now used as a shady spot for relaxing on warm summer days. The landscaping was complete with just a few scraggly bushes. It didn’t take much to upgrade the yard. Two evergreen trees set off the short hedge. A border of colorful flowers and a few perfectly placed containers complete the garden. Aside from a few random bushes, this yard was void of life. Two stately container gardens are placed on either side of the front door. Clipped boxwoods and white annuals round out the yard. The beautiful farmhouse was getting lost in a large, bland yard. The less is more mentality definitely paid off here. A simple carpet of lush green grass is all that was needed to step up this farmhouse. The landscaping wasn’t too bad—it just needed some manicuring and refinement. A row of bushes in assorted sizes line the house and gives order to the yard. 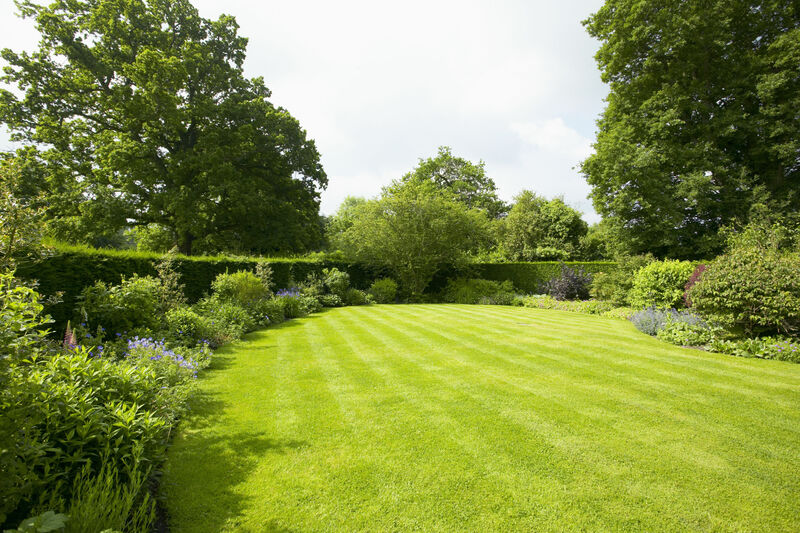 The lawn was rid of its brown patches and now is a lush expanse of green. The incline of this yard made it necessary to think outside the box. Ground cover and a couple clusters of bushes in assorted sizes are all that was needed to upgrade this home’s curb appeal.